The definition of ‘friends’ has morphed in the online era; some say it’s gone from ‘individuals with mutual affection’, to “people I think I saw or met once, somewhere”. Teen developer Ash Bhat’s new game, Quicki, tests your friendship and your memory, by seeing if you can connect names with the faces of your facebook friends. Basically, after connecting your facebook account to the app, and once you start the game, Quicki prompts you with a full screen photo, and two names. You have around 4 seconds to tap the name that matches the face, and if you fail, you lose. For each correct answer, you’re given two points, or “Quicki”s, and the total is your score. The real challenge comes with group shots. Sometimes , in group shots, identifying people quickly can be really challenging, and it makes for a good way to kill 10 minutes. 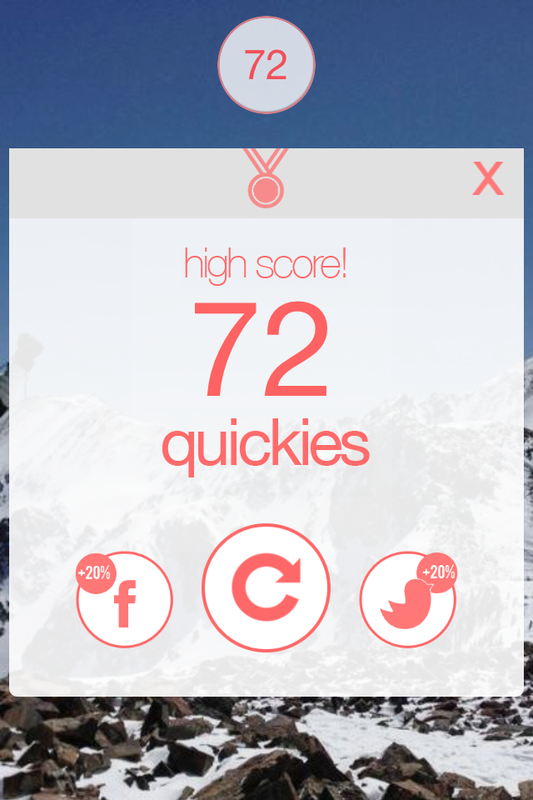 Competing is enjoyable because Quicki pitts you against yourself (trying to beat your own high score), and against others (through game center leaderboards). But there’s something great about Quicki beyond the competition. The next area of Quicki is incredible, but it’s not for the feint of heart. After playing a few games, head to the home screen, and tap the top icon, and then “missed friends”. Quicki shows you a list of exactly who you missed, and offers a direct link to their profile, so that you can “defriend” them. At heart, Quicki is a tool for cleaning up full friend lists, and managing facebook, rather than just a game. I would never “defriend” someone I know, or a relative, but people do come to my attention on my own list, that seem to be adding no value to my facebook, so into the unfriended masses they go. It’s surprised me how many people I both 1. actually know, and 2. have never met. That’s the amazing thing about having 700 “friends”. Per usual, you’re invited to beat my high score. I plan on raising this to 350 though, so make it high, and post your score in the comments. Quicki is very modern and easy to use. The interface is smooth, and minimalist. Photos are crisp, and high resolution, which is important when identifying friends. There are still some bugs to be worked out though. This game was released a month ago, and when my internet connection isn’t fast enough, I find that the game continues with blank screens instead of photos, and identifying people becomes a guessing game. Conclusion: It’s Free, so why not? Quicki is free, and enjoyable despite minor bugs. It’s got an interesting gameplay, and it really does make you stop and consider who you’re ‘friending’. Provocative and free make a very good game. Think you’re above the trend? You’re probably not, but you should give it a try. Check out Quicki in the iOS app store.